These extremely rare family photos come to us from Gene Wolande, a Los Angeles screenwriter and relative of Frank "Slivers" Oakley. The first, a glimpse of Slivers in makeup without his wig, the second ANOTHER photo of Slivers out of makeup (!) and finally a great close-up of Slivers in the catcher's mask he used in his famous Baseball Gag. Mr. Wolande has written an award-wining screenplay on Slivers' life that I'm sure we'd ALL like to see get made into "a Major Motion Picture". As much drama, comedy and pathos as there is to Slivers' story I find it hard to believe it hasn't been made into a movie already. 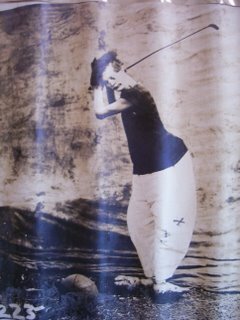 Another in a series of photos from the Tom Dogherty Collection, The Golf Gag, taken from the personal scrapbook of Frank "Slivers" Oakley. Another photo from the Tom Dougherty Collection of photos from the personal scrapbook of Frank "Slivers" Oakley. 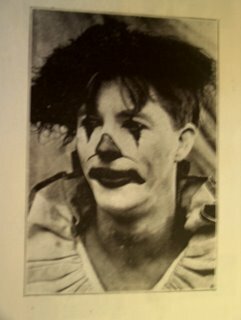 This is the only photo of Frank Oakley, out of makeup, that I've ever seen. 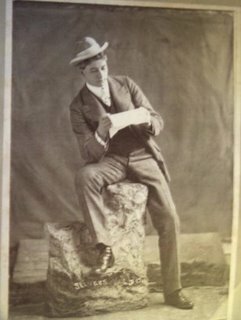 Tomorrow, another photo from the Dougherty Archives and one that helps dispel the myth that Slivers was a "one trick pony" with only his famous Baseball Gag. Tomorrow: Slivers' Golf Gag! Here is the 2nd in a series of extremely rare photos from the Tom Dougherty Collection of Slivers Oakley from Slivers' own personal scrapbook. Today's photo looks to be taken during his prime. Why is is sideways? Because that's the way it was received and I don't know enough about my new macbook to change it yet. Frank Oakley, also known as “Slivers” (1871-1916) was the most popular circus clown of his generation. Born in Sweden, both of Oakley's parents were concert singers. 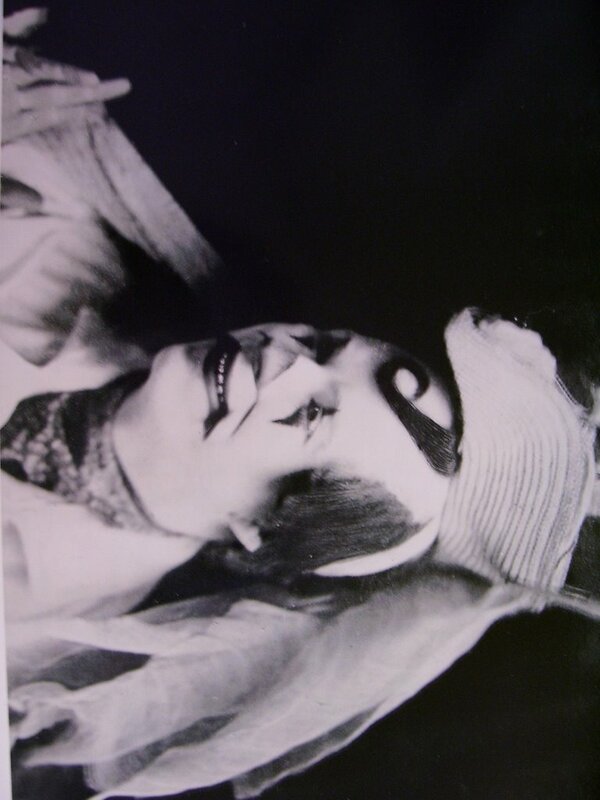 At the age of 14 he began to practice as a contortionist and at 16 he joined his first circus. 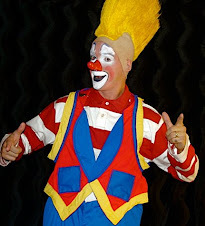 His parents convinced him to enroll at the University of Michigan but two years later Oakley was back under the big top. 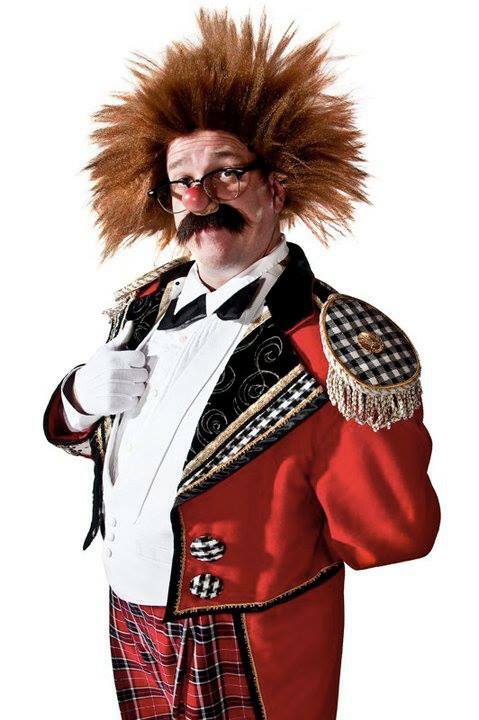 His began his career with Andrew MacDonald's Circus but he soon joined the Ringling Bros. Circus in 1897. 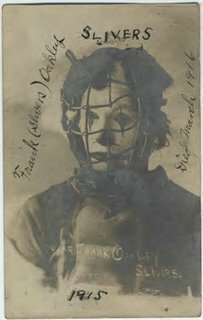 Before the turn of the century Oakley performed with the Barnum & Bailey Circus followed by three seasons with the Adam Forepaugh & Sells Bros. Circus (1900-02). 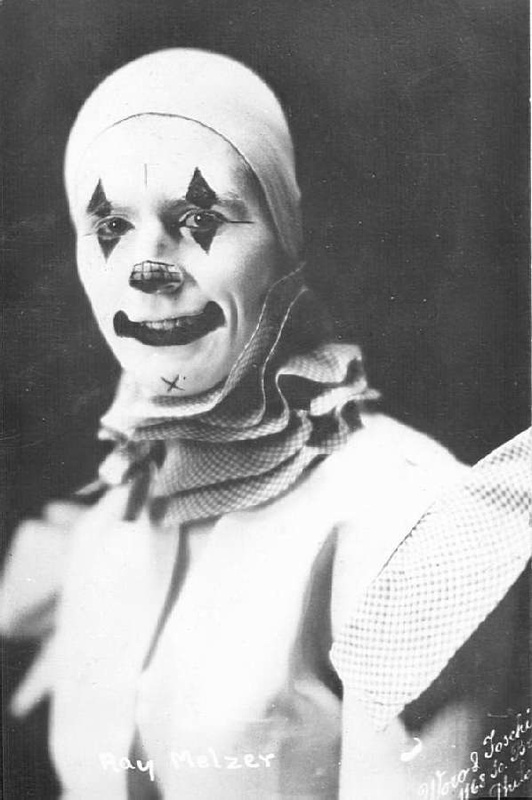 Oakley returned to the Barnum & Bailey Circus for four seasons (1903-07) where he reportedly earned up to $1,000. a week. He went on to perform in other circuses, in vaudeville and was featured (sometimes partnered with fellow clown Marceline Orbes) in the massive shows at the New York Hippodrome, where I believe he performed on opening night. He married vaudeville singer Nellie Dunbar in 1902 and together they had one daughter, Ruth. With the coming of motion pictures and the superstardom of Charlie Chaplin Slivers was supplanted as an American comedy icon. 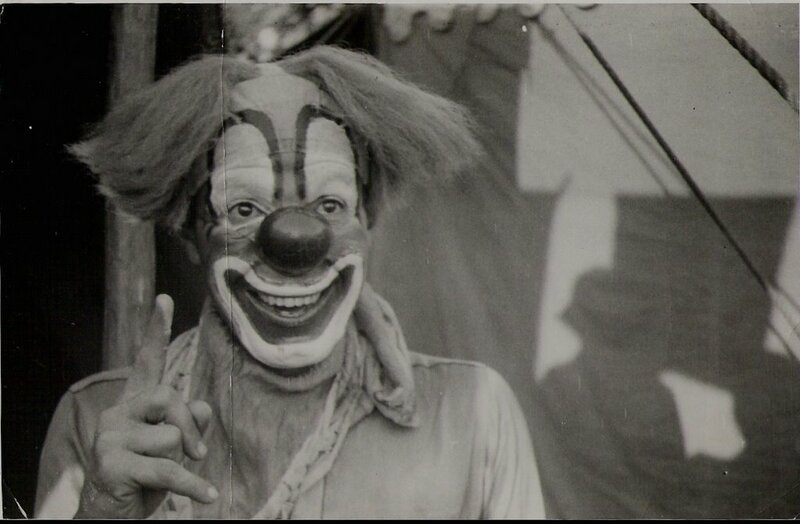 When other opportunities dried up he tried to return to Ringling where he was offered only $75.00 a week to perform walkarounds. 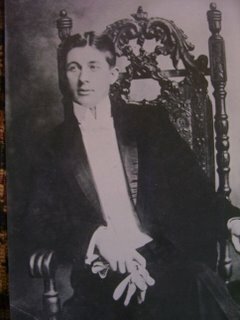 He committed suicide, dying by gas asphyxiation, on March 8, 1916 in his room at 308 West 71st Street in New York City. Oakley had fallen for Viola Stoll, a young vaudeville actress, and remained infatuated even after she was arrested and incarcerated for stealing his late wife's jewelry. When he tried to have her paroled from Bedford Reformatory by proposing marriage, she rejected him. Tomorrow, the rarest of the RAREST of the rare...Slivers without makeup! This is probably the rarest photo we've ever had here in THE ALLEY. It is a photo of Frank "Slivers" Oakley, a true master clown and a huge star in his day. If you look through books on circus and clown, surf the web or search old newspapers and magazines, you'll only ever find a small handful of photos of Slivers. Why? I don't know. But I think that I've only ever seen five or six. This looks to be from early in his career. some images of this remarkable find. Tomorrow, another photo of Slivers from the Tom Dougherty Collection! Blogging today from the parking lot of the Wash & WiFi, Rutland Vermont's first (and probably only) laudromat with a free wireless internet connection. 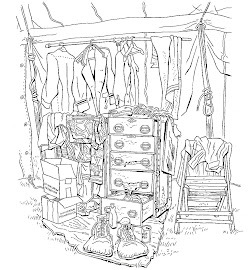 As I sit sipping Snapple Green Tea, checking my email on my macbook, in the front seat of my PT Cruiser, listening to my XM satellite radio and taking calls on my cell phone as I do my clown laundry I have to wonder again...JUST HOW DID ANYONE DO THIS BACK IN THE RAILROAD AND TENT SHOW DAYS?!? 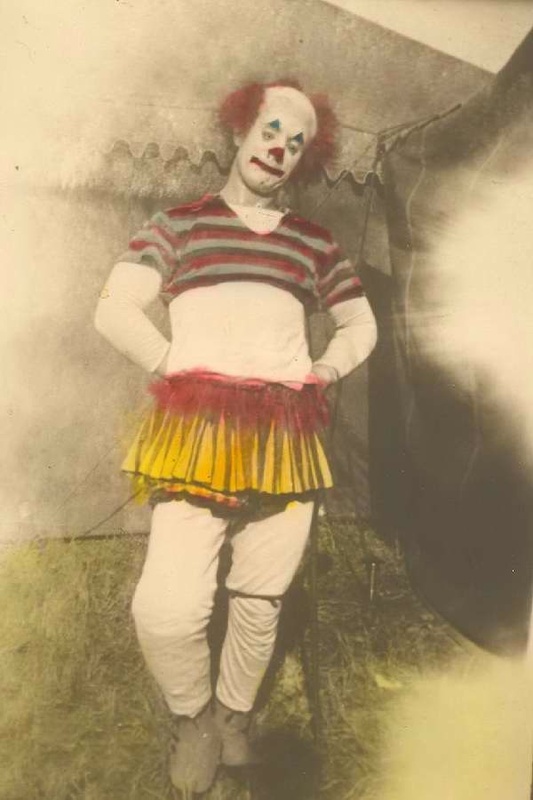 My clown hat goes off to this fellow, Raymond Thomas, a turn of the century clown who probably wouldn't believe how easy the clowns of today have it! I don't know anything about Mr. Thomas other than the fact that Ringling Bros. and Barnum & Bailey Gold Unit Advance Clown, Rik "Bonzo Crunch" Gern was thoughtful enough to pass along these photos of him to share. We still need submissions in order to keep the blog going until I can get back home (September 17th) and start scanning my archive to the new computer, so anyone out there with photos to share please send them along to me at cashincomedy@yahoo.com. Thank you and have a happy and safe Labor Day! Rik Gern found this amazing photo of Lou Jacobs' handiwork at putting his makeup on others. This guy may have been a reporter doing a story or some press agent friend... whatever. 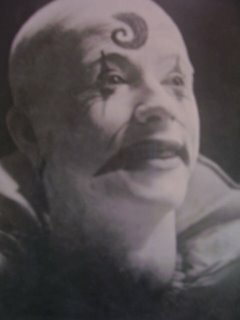 There are other examples of "guest clowns" getting made up by members of the Alley and getting a duplicate of the pro's makeup. What I find interesting is that Lou's makeup and headpiece, applied by Lou himself looks SO radically different on this man's face. What looks so warm, fun and magical on Lou looks strange and freakish to me on this guy. It only goes to prove that you can copy someone's makeup and costume but you can NEVER copy the performer underneath it.